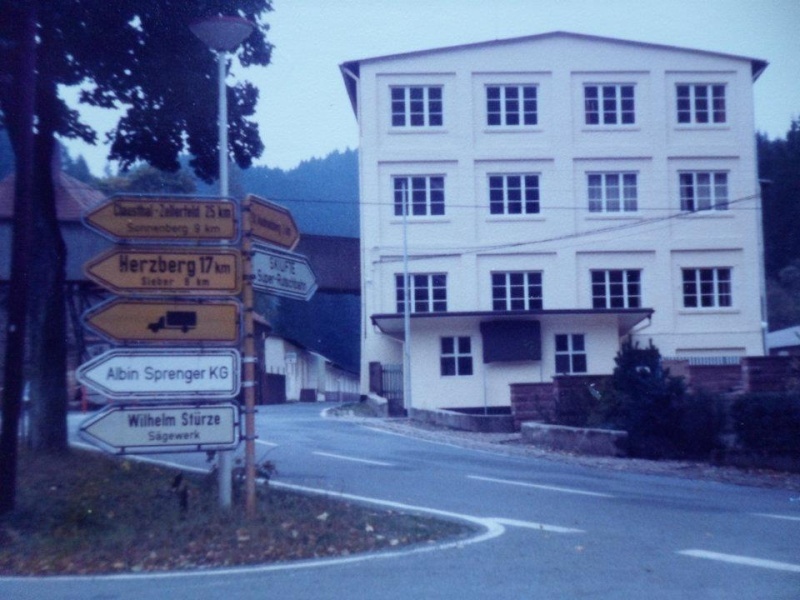 Located in the Hartz mountains near Sankt Andreasberg was an old ammunition factory and housed the Army mountain training centre and I was naafi manager until it closed in 1990.It had accomadation for about 200 people and was used all year round for adventure training I may have some photos of the place but as i just found this site today i will have to check later. Hi Tom, welcome and those photo's would be much appreciated mate. any body around there at that time? During the summer of 1986 the company (53 Company 5 Ord Bn Barker Bks Paderborn) had a fortnight at Silberhutte. Did the usual stuff, PT, hill walking & climbing. It was the only time I ever visited Silberhutte and to be honest I preferred summer camps in Bavaria or the Mosel. In 1976 (ish), a squad from 3 squadron 1 Armd Div HQ & Sig Regt spent a week in the old ammunition factory with the aim of blocking up sealing up the windows of one of the blocks, and tidying up in preparation for what was to become the AMST (JSMT) Siberhutte or at least a small part of it. It was then just a shell with a door. We took along the regimental ski collection (barely 2 the same), and had a go at skiing. I think we got the basic elements right, snow, hill - down, just needed to work out how to stop at the bottom. Never got to go back on a snow queen course though. One of the drawbacks of being a data teleg, always got some proper work to do. Welcome Steve...I take you are a Scaley..If so double welcome. Ski-ing, Adventure Training, Hill Walking, Summer Camps!! I don't bloody believe it!! Me (271) on winter warfare at Silberhütte...1963/64? Is this the start of a race of some sort?? Places Served : Farnborough, Hohne, Ulster, Berchtesgaden,Chatham..
We used to ski most weekends in the Harz but I can't for the life of me remember where. I do remember the drives coming back in the old Bedfords to Hohne in Winter ! Hello, my dad S/sgt Glyn Creser was stationed at the AMTC in 1980-82 as Chief Clerk with a Major Hooton if I recall correctly. They were rather lonesome days for us kids as there were no other army kids around. 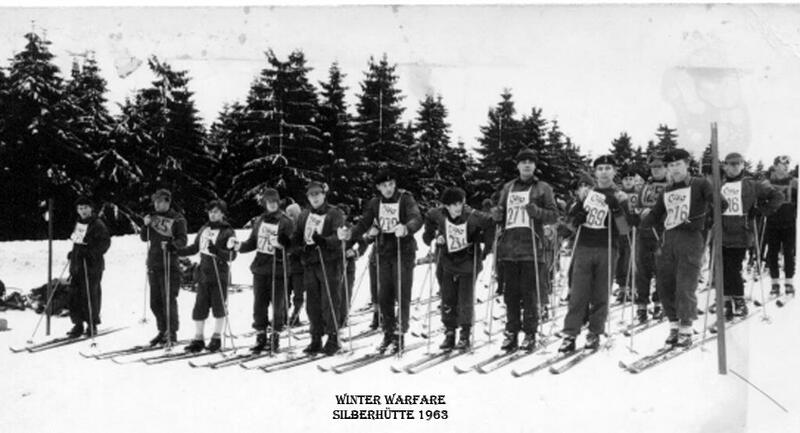 I would go langlaufen rather than downhill skiing, and one early morning as I set off, I heard loud drunken singing and much laughter and rounding the corner where we lived just opposite the AMTC, copped a bunch of naked squaddies with nowt on but their skis. Thankfully they didn't see me, but it was one of the funniest things I ever saw there. We attended Windsor Girls' school as there weren't any army schools there and we didn't want to go to a German school. This is proper 'down memory lane' for me. I went there for 2 weeks cross country skiing when I was in juniors in 1981 or 82. What a beasting. They called it Langlauf. I called it running up hills with boards on yer feet. I remember sneaking out at night to go into town wearing tee shirt and Levi jacket in mid winter. The beer bar in camp was called 'The lonely hearts club'. I remember the local disco in town. It was called 'Die Hexe'. I fell in love with Germany because of that experience and ended up spending ten years there all told. Great memories. I vaguely remember doing a ski instructors course there in the '70s, sadly I don't recall very much else - apart from the fact that all the kit that they had was atrocious!